Born in Sidney and raised in Bitola, the top actor Toni Naumovski is living in New York these days, where he is building an impressive international career in theatre, film and television. 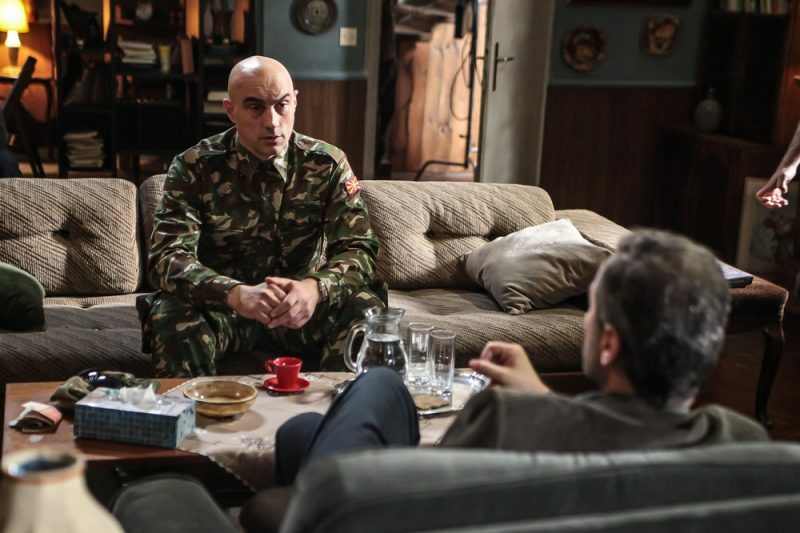 The successful and incredibly talented actor is playing the role of Vlado Lazarevki, a soldier, in “In Treatment”, who, judging by the reactions on the social media, is many people’s favourite character in the show. We’ve talked with Toni about the features he is sharing with Vlado, the process of developing this complex character and why he cannot remain the same after shooting this series. What are the similarities between you and Vlado Lazarevski? What is the most annoying thing about him? We are similar for the great sense of responsibility and the high level of discipline and what bothers me about him is his arrogance. What was the best moment during the shooting of the show? It is really hard for me to point out a single moment. I enjoyed in the process of researching and developing the character in terms of both the individual aesthetics and the cooperation with the entire team. It was a profound and sublime journey. Are you satisfied with the reactions of the Macedonian audience thus far? I believe that the Macedonian audience has the capacity to recognize a series produced at world class level. This is an “HBO” franchise and so far more than 30 countries have adapted the series for their own markets, and it all speaks volumes for the level of success of this brilliant concept. Which part of the shooting did you find to be the most challenging? The individual responsibility as an actor. To stand behind the truth of the character and find such truth in yourself without being judgmental. Notwithstanding the controversy of that truth and whether it matches the values that I believe in as a person, to perform and justify Vlado’s character in a simple way, but also with the deepest feelings of fidelity and sincerity. What have you learnt about yourself from the shooting of the show that explores life’s challenges seen through the prism of psychotherapy? And, and Dr. Terziev would put it, would you like to talk about it? Each role is like a scar. It is always present to remind you of a specific moment in time, in this particular case of a sincere and deep friendship, but also of a painful sincerity that filters you through the process. I definitely cannot be the man I used to be after this TV series. And, unless one has to do it, one would not dare to talk about it, would one?